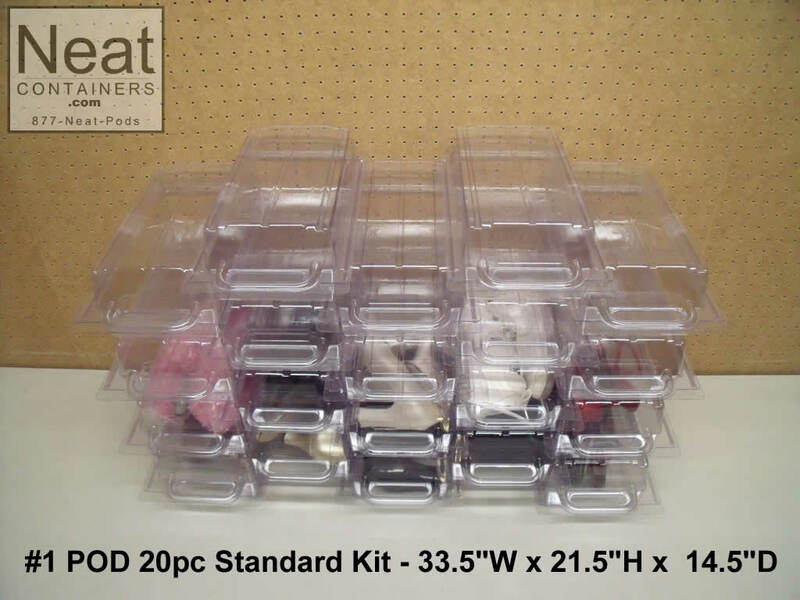 The 20pc Standard Kit is a fantastic choice for those looking to organize shoes and a multitude of other items. With the unique design you'll be able to remove individual storage pods from the stack without removing those above or having the stack collapse. See our animations for accurate representations of this feature. AND pods are CLEAR so you can see what's inside. Attention men! 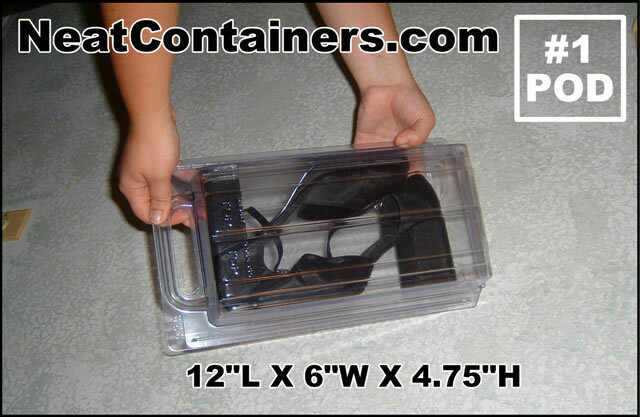 While pair of mens' size 10 1/2 shoes can fit in this size pod, it's a tight fit and may be a good choice when space requirements are the primary factor. Otherwise, we recommend the #4: click here... Check out the #4 it's larger at 12" x 12". I wanted to thank you for your very fast delivery. I love the product and plan to buy more. I have told all of my coworkers who will soon be calling to order also. ...I was worried about ordering but everything was great and customer service was also very nice and proffessional. Thanks again. It is very rare that you get such great service from an internet ordering site. I commend you !! Sharon Davis .. I ordered 2 of the 20pc sets of #1 and 9 Sweater Boxes. I LOVE them!!! 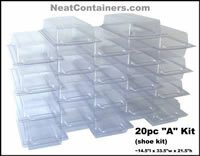 I use to have all my shoes in a plastic shoe box containers with lids. It worked but took up tons of space in my closet and the lids would end up all over, it was an inconvenience trying to keep it all together. 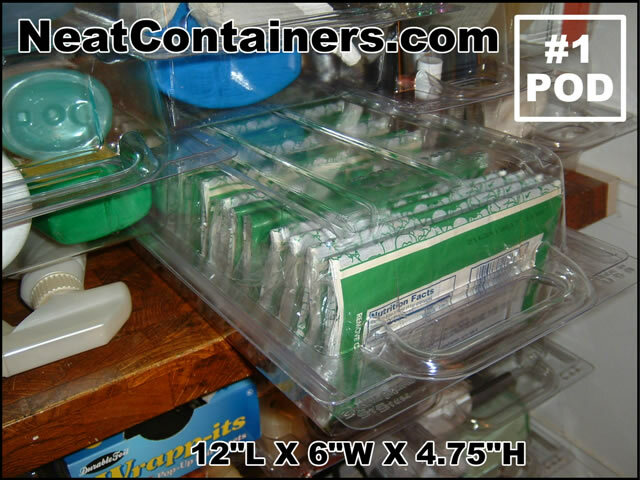 Then I came across Neat Containers, it replaced all the boxes with lids and now my closet had tons more space and the convenience of NO LIDS! I can pull one out and the rest actually do stay in place! Before I would pull one box out and the rest that were stacked on top would fall. 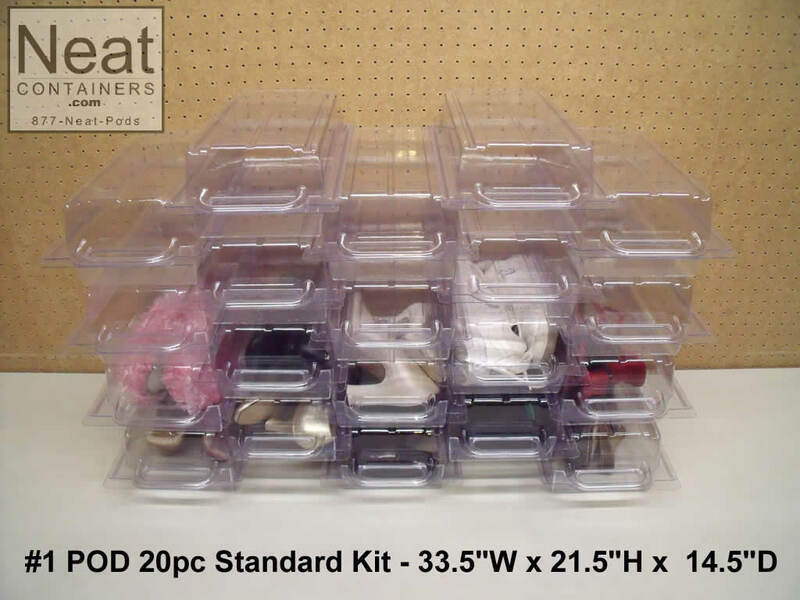 I just placed an order for the Hat box and Accessory Box. I love the sweater box too, you can put hats, scarves, and even three pairs of flats or 5 pairs of sandals! Great space saver, convenient and perfect!!!.. Hi Ron... 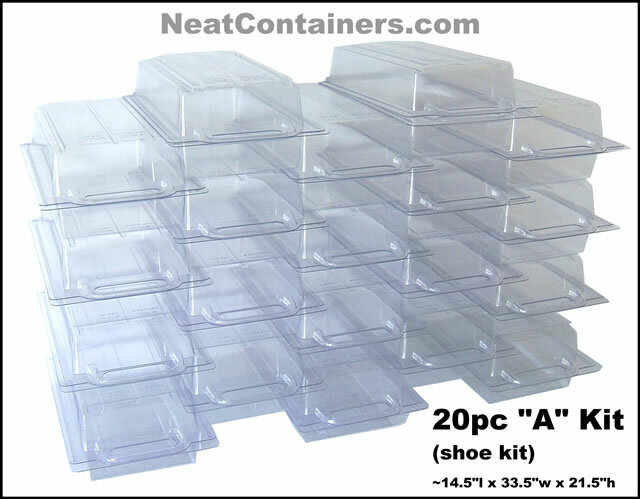 I love these boxes...work great with 300+ pair of shoes etc. 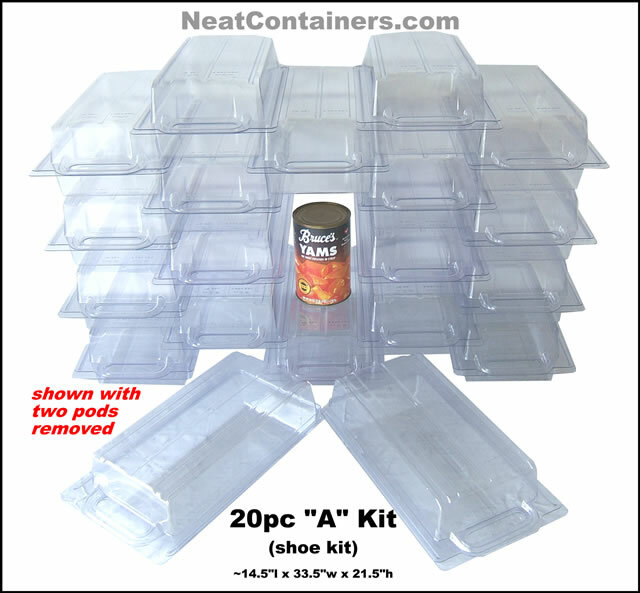 I can't say enough about the neat containers. If you are thi ..